With a lifelong passion of science and human biology, Mrs Edelyn knew from a young age that working in oral healthcare was the perfect fit for her. In fact, she says that you can learn a lot about a person’s diet and lifestyle just by looking in their mouth! At Dentist WA Canning Vale, Mrs Edelyn loves helping patients experience improved oral health that impacts their overall wellbeing. 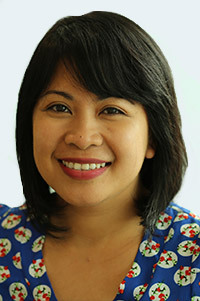 Mrs Evelyn graduated from the University of Queensland in 2008 with her Bachelor of Oral Health. Each year, she continues to take additional continuing education courses in order to provide the best care for her patients. Outside of the practice, she enjoys volunteering and teaching music—in fact, she is a Choir Director for a local group. When she isn’t involved in music, you can find her cooking up a new dish—she loves to experiment with creating new and delicious recipes. Get to know more about Mrs Edelyn when you book your next visit with us. Hosai’s interest in science and medicine inspired her to become an oral health therapist. She graduated from Curtin University in 2016 with a Bachelor of Science in Oral Health Therapy. For Hosai, oral health therapy is a rewarding profession that involves patient education and early detection of oral diseases. She is passionate about improving patients’ oral health through education and oral health promotion, as well as reducing dental phobias in both children and adults. It is gratifying for Hosai to make a positive change in the lives of patients. 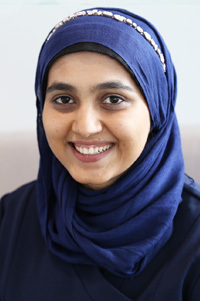 When she’s not helping to improve patients’ oral health, Hosai enjoys spending time with family and friends. She likes taking early morning walks with her mum and watching Turkish dramas. Our team look forward to meeting you and helping you achieve your oral health goals. Schedule your appointment today! We are preferred providers for HBF, HCF, BUPA, CBHS & nib.